In the outskirts of the village of Jubara, bordering the Jubara checkpoint, sits the home of 63-year-old, Shawqiye Hamaide, Umm Yousef. 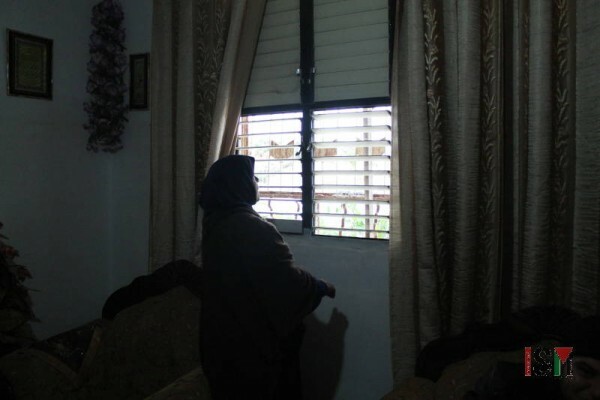 Mother of two daughters and grandmother of 6 children, Umm Youssef is originally from the village of Beit Lid, but moved into this house 35 years ago when she married her husband, who was born here. Today, after her husband passed away many years ago and her daughters married and left the house, she lives here all by herself in this very isolated area. Umm Youssef in her backyard. You can see the checkpoint right behind her. 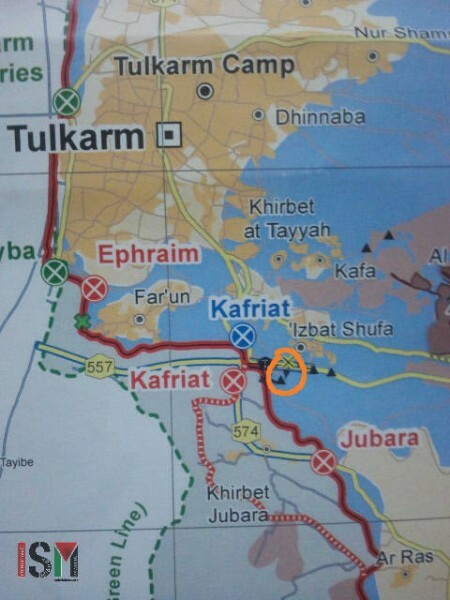 As indicated in the orange circle, Umm Youssef’s house (black triangle) is located right at the edge of road 557, in front of the checkpoint (X), an earth mound (black dot) and beside the Apartheid Wall (red line). 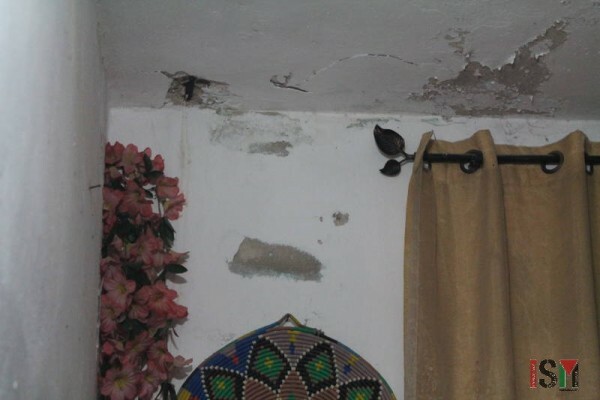 Her home is very old and poor; there are several cracks in the roof and walls, where water leaks in the winter. The windows do not have glass pains, but only shutters, making it very cold in the winter. Sometimes, in the summer, snakes get into the house through the shutters. 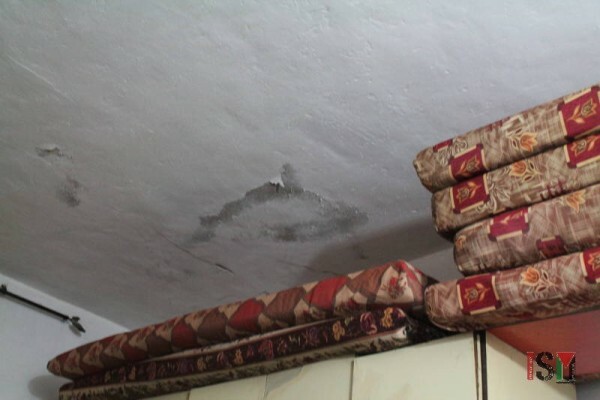 Patches of paint come off the ceiling and walls as water leaks in during the winter months. 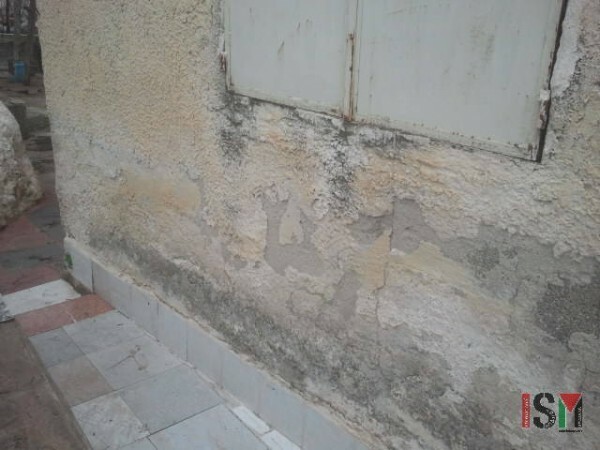 Water leaks in many parts of her house but she doesn’t have the financial means to repair it. 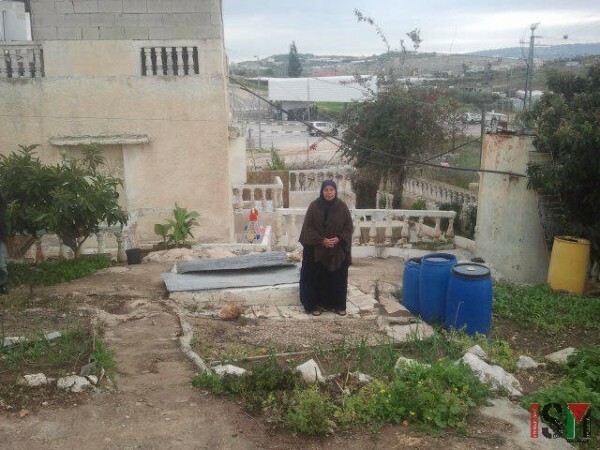 In 2000, when the Israeli army began building the Apartheid Wall in front of her home, the soldiers threatened her to leave saying that the bulldozers’ movement of the land might make her house fall, since it is a very old construction. But despite this threat, she refused to leave. She wants to live here for the rest of her life and die in this home. These cracks appeared when the Israeli army bulldozed the nearby land to build the Apartheid Wall. 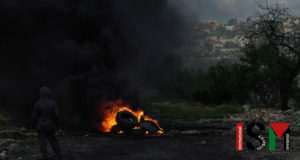 She also says it is very common for confrontations to occur between the youth of the Tulkarem Refugee Camp, who throw stones from the hillside opposite her house towards the military checkpoint, and the Israeli soldiers, who fire back with live ammunition, and other kinds of weapons. There are times, as well, when the soldiers in the checkpoint practice shooting towards her house. She also has 7 olive trees in her garden, and during the harvest season, when she picks the olives by herself, the soldiers shoot in her direction. 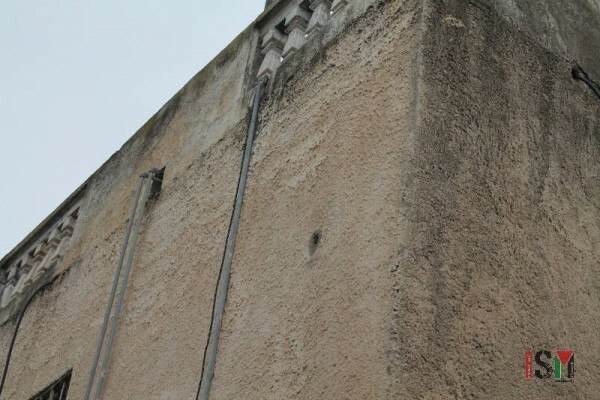 Oftentimes, the Israeli military have trained shooting towards her house, creating this hole in the wall. 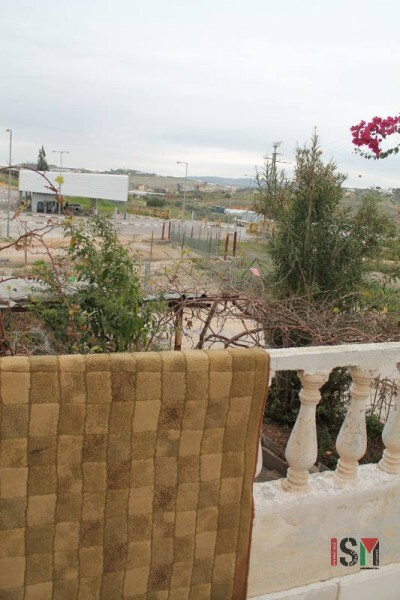 Life in this vulnerable and marginalized area has only become more stressful since the visit of a man, who claimed to be a Palestinian from the city of Nazareth, knocked on her door approximately a year ago. Saying that he wanted to marry a woman from the West Bank, he first offered Umm Youssef to buy her house for 1 million shekels. The man has come to her door 7 times this year already, finally doubling the offer to 2 million shekels. But not only she is not interested in selling her home, it is also highly unlikely that someone would want to pay such a high price and start a newly married life in a house of such poor conditions. Finally, her suspicions about this man being an Israeli trying to continue colonizing land were confirmed when she saw him one day wearing the military uniform in the checkpoint. She says that he and another man changed their clothes to civilian clothes, and drove a car towards Tulkarem. She suspects these people could be part of the Shabak or Mossad. The military surveillance tower as seen through her garden. Her property borders the checkpoint. Another section of the checkpoint as seen through her balcony. 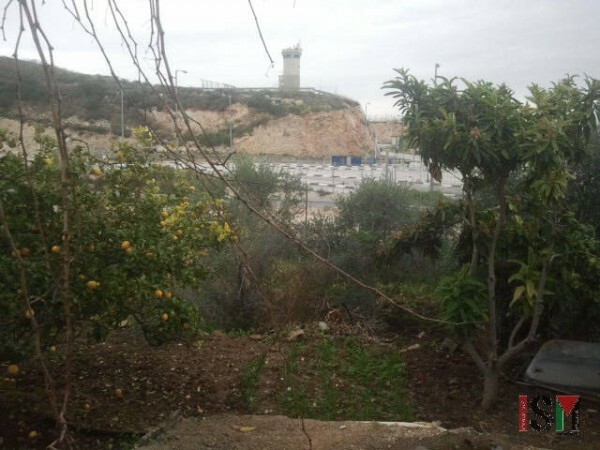 It is a common tactic of the Zionist project to use third party intermediaries to buy Palestinian land and then sell it to Israeli citizens, settlers or authority, in an attempt to continue colonizing and cleansing the native population. In many cases, Palestinians who sell their land this way do not know the intentions behind these purchases. Therefore, Umm Youssef’s decision to not sell her home away is crucial to prevent further colonization of Palestinian land. The windows in her house only have shutters, and no glass pains, making it very cold in the winter. 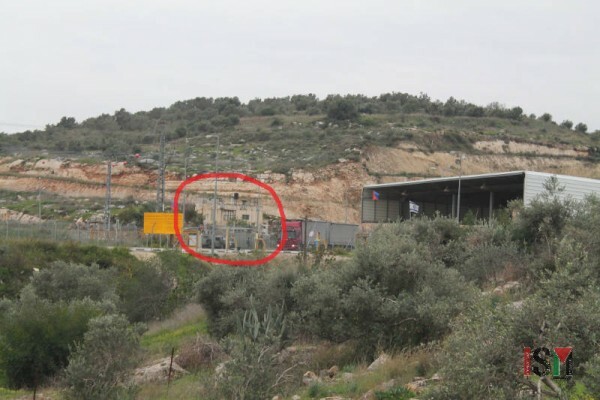 As shown by the red circle, Umm Youssef’s home sits alone beside the hill, directly facing the checkpoint.